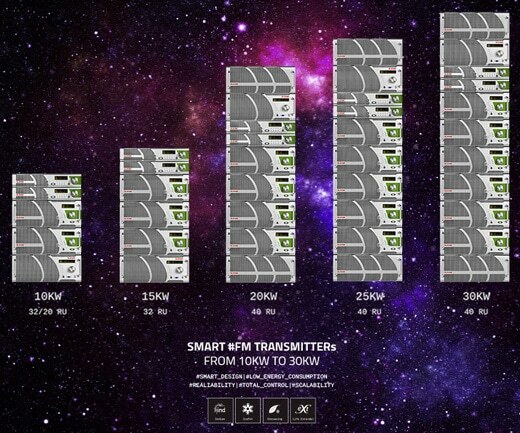 Elenos is glad to welcome the new high power FM transmitter series, high performances and efficiency. The power range for this series is 10kW – 100 kW, other power classes are available upon request. These new Elenos high power transmitters are completely modular, for a guarantee of reliability, ease of use, high redundancy and full possibility of interchange between the parts. 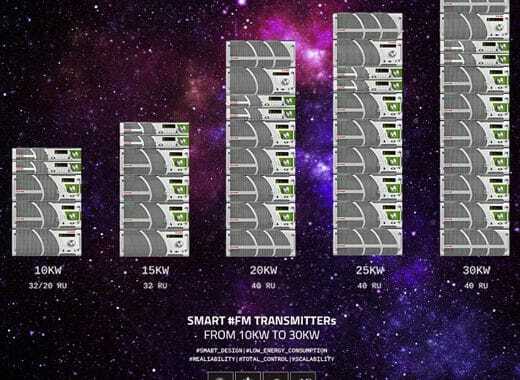 Power amplifier, with new generation LDMOS technology. Control unit, for complete managing in local or remote mode (web server, web manager and SNMP agent). In this first date, we focus on ET10000, 10kW dual driver FM transmitter. n.2 exciter with Audio input, analog and digital. n.1 unit combiner with inside: 2 way splitter, 2 way combiner, automatic coax relay for automatic change between exciter 1 and 2, system charge. With its global multi-year experience in radio broadcasting, Elenos is at complete disposal of the customer, offering a complete service: from designing, to commissioning and monitoring the product (turn key solution).